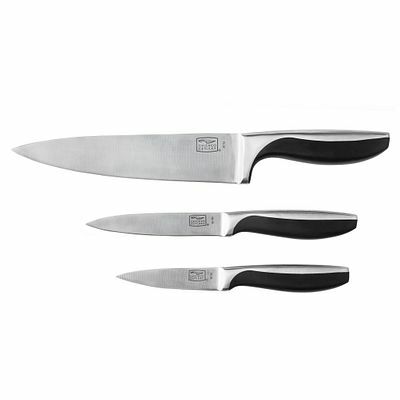 A trio of must-have knives, with handsome dual-material handles for comfort and style. 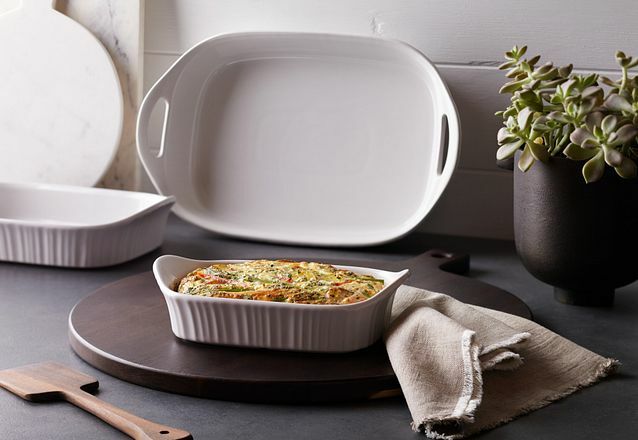 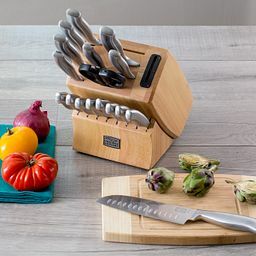 Avondale's contoured polymer and stainless-steel handles feel great in the hand and lend these knives strength, heft and contemporary style. 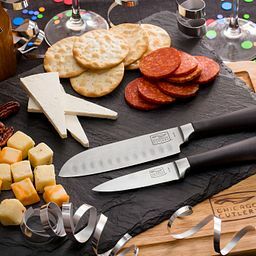 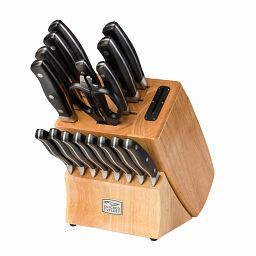 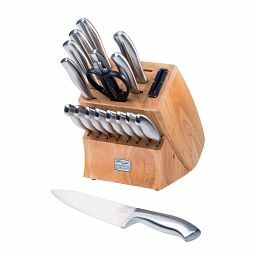 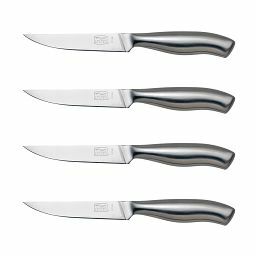 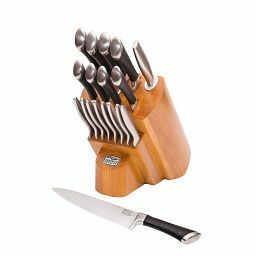 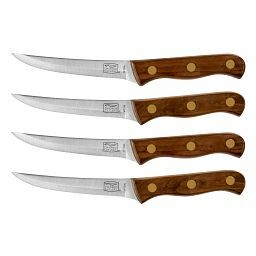 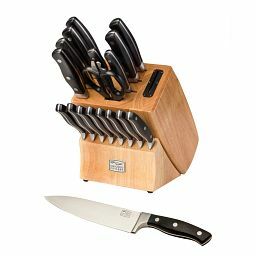 This set brings together the three most-used shapes in any cook's drawer, all with high-carbon stainless-steel blades hold their edge longer and sharpen beautifully.